Detached two bedroom cottage on 2 acre Andalucian Finca and within 5 minutes of authentic Spanish white washed village. 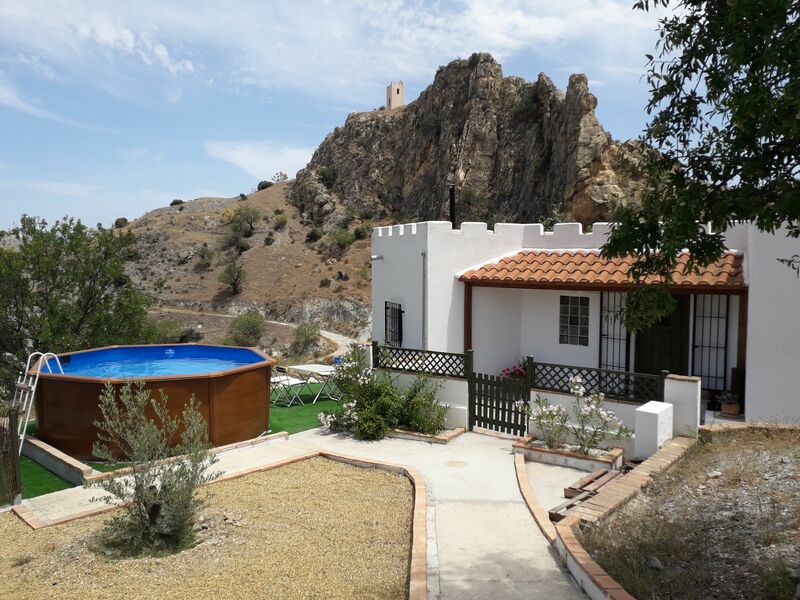 Casa Rincon is a detached two bedroom cottage located on an a 2 acre Andalucian finca set on top of a hill with ancient terracing of almond trees and truly panoramic views of the surrounding village and mountains. 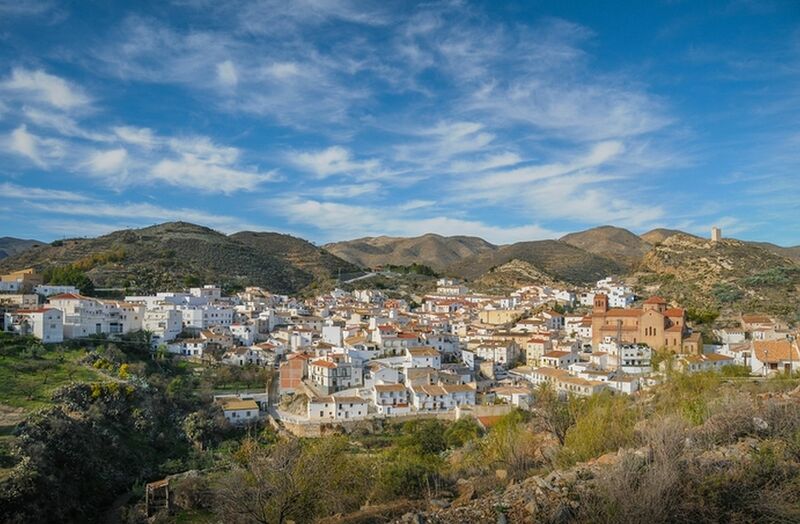 The authentic Spanish village of Lubrin is just a short 5 minute walk to the main plaza and also to the village 25m swimming pool with tapas bar ( open 1st July to 31st August). Perfect for family with local children keen to practice their English on visitors! The cottage has been renovated from old stables and is designed for 4 people with comfortable self catering accommodation. There is a living room, with well equipped kitchen, spacious double bedroom and full size bathroom. Outside has private open and covered terraces with BBQ, garden furniture and stunning mountain views which on a clear day, includes the Mediterranean which is about 12 miles away as the crow flies. The landscaping in restful and relaxing and is the ideal holiday for solace and tranquility and an unforgettable experience of Spanish mountain hospitality, from the delightful and charming villagers of Lubrin. This property is located in: Lubrin (Andalucia, Spain). I am interested in other Vacation Rentals from Spain.